The Spireites will kick off the new season with two derby crackers. Dean Saunders’ side hosts Barnsley on August 8. A week later, they travel the few miles north to Sheffield United. They have to wait until November 24 until they meet Doncaster Rovers, at the Keepmoat stadium. April sees Chesterfield play Barnsley, the Blades and Rovers in three consecutive games over 11 days. The League One season ends at Bradford. 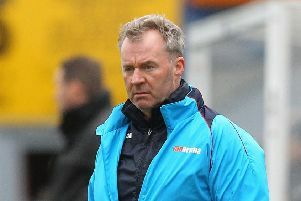 Chesterfield, who finished sixth in the division last term, will be looking to get promoted under Saunders’ stewardship. The club has drawn Carlisle United in the Capital One Cup. Home supporters may be able to assess their side’s chances in all competitions when they face Championship side Hull City at the Proact Stadium on July 21.